NMR relaxometry, NMR spectroscopy, field cycling NMR, NMR instruments, NMR magnets. Stelar is an independent Italian company specialized in scientific instrumentation for Magnetic Resonance. Stelar is established in Mede, Italy, on 1984 with the mission to develop, manufacture and market innovative Scientific Electronic Instrumentation for NMR research and industrial applications. Since its constitution, Stelar is the only Italian company and one of the few companies in theworld offering NMR spectrometers consoles, NMR and EPR (software and hardware) upgrading kits for the existing commercial instrumentation. All these activities allowed Stelar to acquire and consolidate a strong know-how in NMR instrumentation. Stelar holds at present a very high reputation in the NMR community. Beginning 1994 Stelar starts a project for the development of an innovative method and an instrument for a novel measuring technique in NMR relaxometry. This method, called NMR Fast Field Cycling is the only technique which allows to measure T1 dispersion curves (NMRD profiles) as a function of field strength starting from earth field up to the fields where the other conventional NMR spectrometers are applicable. This project is successfully completed and the first Stelar equipment for Fast Field Cycling NMR relaxometry is installed at University of Lund (Sweden) in 1997. The NMR FC method has been adopted in many NMR laboratories and nowadays dozens of Fast Field Cycling Relaxometers are installed in Europe, North America and Asia and successfully applied in many field of application in material science, liquid crystals, polymers, MRI contrast agents, biological. Stelar is recognized leader in this field. 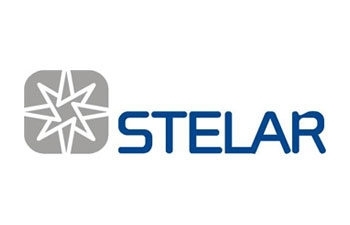 Stelar is at present committed to the diffusion of the knowledge and the use of Field Cycling NMR method in scientific and industrial research and is involved in many R&D projects for the continuous development of new FC applications in NMR and MRI exploiting latest technologies of electronic design.